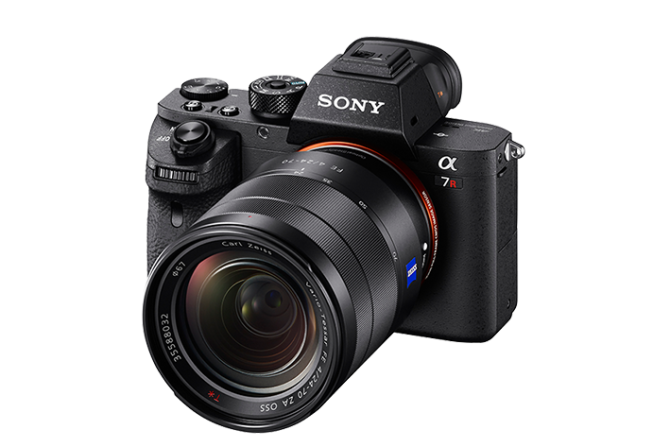 Sony has taken their line of full-frame cameras to the next level with the Alpha a7 II Mirrorless Digital Camera, which features 5-axis SteadyShot INSIDE image stabilization with 4.5 stops of compensation for pitch, yaw, horizontal shift, vertical shift, and roll. Operation of the 24.3-megapixel series has been streamlined with a redesigned grip, shutter release button, and customizable controls. The a7 II also features a moisture- and dust-resistant design with a magnesium alloy body and a more robust lens mount. And, with refined algorithms and better utilization of the BIONZ X image processor, the a7 II has an enhanced Fast Hybrid AF system that is about 30% faster than the previous model along with a 5 fps burst rate with continuous autofocus as well as a 40% faster start time.